Bensonhurst -- allegedly named after Arthur W. Benson, the former president of Brooklyn Gas who acquired farmland there in 1835 -- is a large neighborhood located in the southwest of the New York borough of Brooklyn. It borders Dyker Heights, Borough Park, Midwood, Gravesend and Bath Beach. Italians and Jews moved into the neighborhood in the early 20th century and dominated it until the 1990s, when a massive influx of Chinese, Russian, Mexican and Middle Eastern immigrants began. 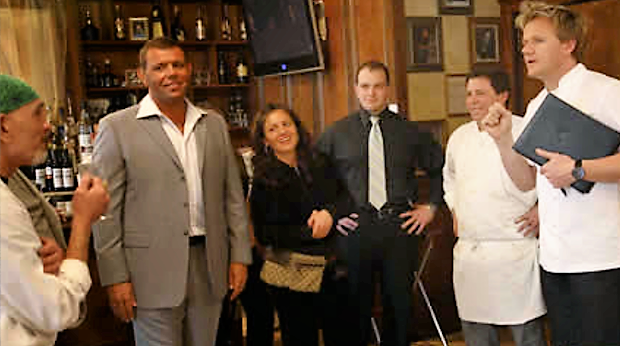 Historically, Bensonhurst is known as Brooklyn's Little Italy. 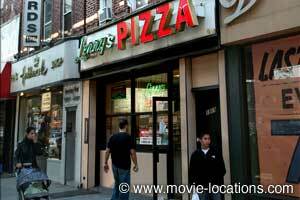 One can still view hints of that rubric thanks to the many Italian restaurants and specialty shops located along the tree-lined streets -- among them, Lenny’s Pizza, where Saturday Night Fever's Tony Manero ordered two slices and ate them, stacked one atop the other while strutting down 86th Street. 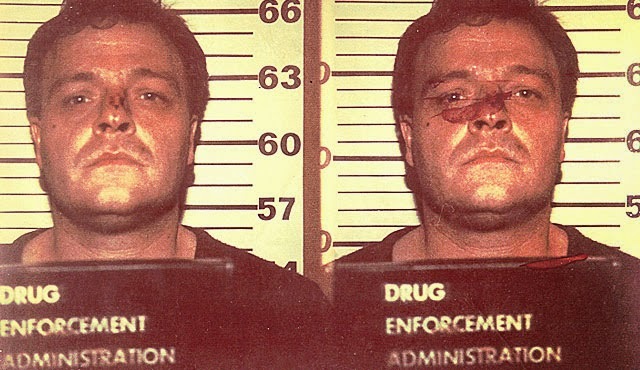 "We’ve rounded up 10 of the neighborhood’s most notorious mobsters, including an alleged cop killer expected to get out of prison in five years, a drug trafficker who recruited Mob Wives reality star Angela “Big Ang” Raiola, and an FBI informant responsible for a cold-blooded Christmas murder on Bay 11th Street." Pitera began his life as a quiet child who was bullied in school, but would turn out to be one of the most ruthless serial killers in history. A life-long Bruce Lee enthusiast, the David A. Boody I.S. 228 grad began practicing martial arts, winning competitions, and studying karate in Tokyo under Hiroshi Masumi. 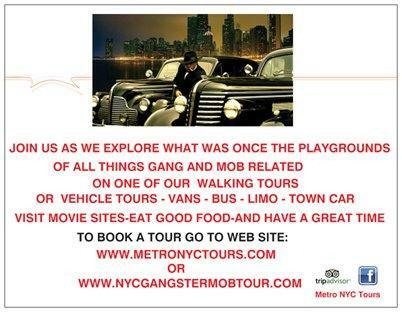 After returning to Brooklyn, he was recruited by the mob. The Bonnano family hit man was particularly ruthless and clinical in his killing technique, often torturing and dismembering his victims. Sometimes he’d collect victims’ jewelry or belongings as souvenirs, a practice typical of serial killers rather than mobsters. Police believe he is responsible for at least 60 murders. 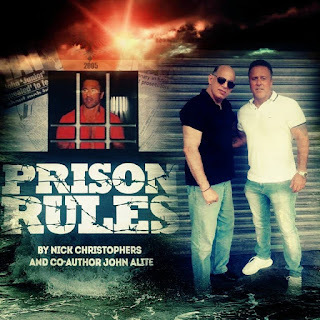 Sentenced in 1992 for six murders and his role in a massive drug operation, Pitera narrowly avoided the death penalty and is currently serving a life sentence at a federal penitentiary. Fun Fact: Pitera had a high-pitched falsetto voice that one biographer compared to Michael Jackson’s. A self proclaimed “bird lover,” Spero’s hobby was to race pigeons from a Bensonhurst rooftop, where he’d also hold his meetings. Meanwhile, his loyal henchmen, called the Bath Avenue crew, would congregate at a social club on the street below. Federal prosecutors suspected Spero of using the birds as a discreet way to deliver messages to his men. Spero was indicted on racketeering and murder charges in 1994, and in 2002, he was sentenced to life in prison for loansharking and his role in three more deaths, including that of Vincent Bickelman, a burglar who had robbed the mobster’s daughter; and Paul Gulino, a Bath Avenue crew member assigned by Spero to kill Bickelman, but instead accepted an assignment to kill Spero. Spero died in jail at age 79. 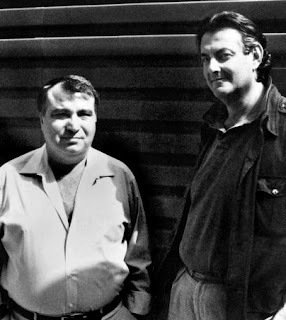 The 1993 third Columbo civil war raged between loyalists of this charismatic mob boss, and a rebellious Colombo faction aligned with Vittorio “Little Vic” Orena. Persico was involved in bookmaking, loansharking, burglaries, and hijackings. He was arrested more than a dozen times but managed to avoid jail time. Persico soon started working with Joe Gallo and his brothers Albert and Lawrence, though he turned on them and tried to murder Larry Gallo. His betrayal earned him the name “The Snake.” He is rumored to be behind the In 1957 murder of crime boss Albert Anastasia, the former leader of Murder Inc.
He’s been serving out his 139-year federal prison sentence since 1987. The internet appears to have been scrubbed of much information related to the late Salvatore “Sally Dogs” Lombardi, uncle of Mob Wife and self-described “lover of wise guys” Angela “Big Ang” Raiola. We couldn’t even find a mugshot of Lombardi, so this video of Big Ang explaining the appeal of wise guys will have to do. 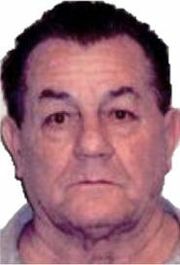 Salvatore “Sally Dogs” Lombardi, a Genovese crime family capo. We do know that over the course of his life, Lombardi was a big-time heroine, cocaine, and quaalude trafficker — at one point ensnaring his reality star niece in one of his drug-running schemes. 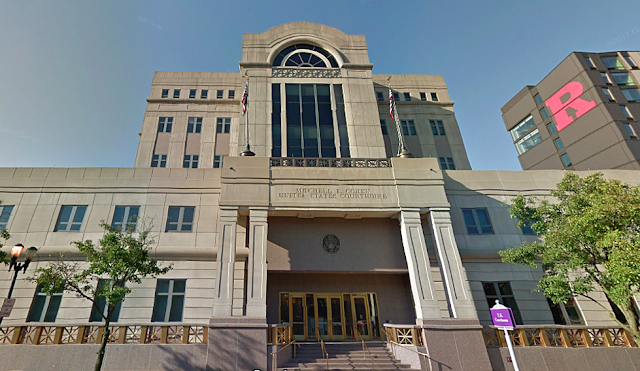 He got caught twice, once in 1979 for selling quaaludes, and again in 1992 following an elaborate sting operation, when he was convicted on heroin trafficking charges. He died in jail in 2008. When he was arrested in 1962 for armed robbery, Scarpa became an undercover informant for the FBI to avoid prosecution. He worked with the agency for 30 years, famously helping them track down the bodies of three missing Mississippi civil rights workers. Scarpa stayed active in the mob and committed many murders as a registered informant, and each time authorities would let him off the hook. In one of his most cold-blooded killings, during the Orena-Persico war, he shot Vincent Fusaro — a man he suspected of loyalty to the wrong side — in the head as he stood on a ladder to hang Christmas decorations on the door of his Bay 11th Street home. The Sicilian-born “boss of all Cosa Nostra bosses” and head of the Gambino crime family is believed to be the inspiration behind the book The Godfather, by Mario Puzo, which was eventually adapted for the legendary film trilogy of the same name, directed by Francis Ford Coppola. He immigrated to America in 1921 as a ship stowaway, and after marrying his cousin Catherine Castellano, Gambino settled into a relatively modest Ocean Parkway row house. He fell in with the “Young Turks,” a group of Americanized Italian and Jewish Mafioso in New York that included the likes of Frank “Prime Minister” Costello, Albert “Mad Hatter” Anastasia, Gaetano “Tommy Three-Finger Brown” Lucchese, Meyer Lansky, Benjamin “Bugsy” Siegel, and Charles “Lucky” Luciano. 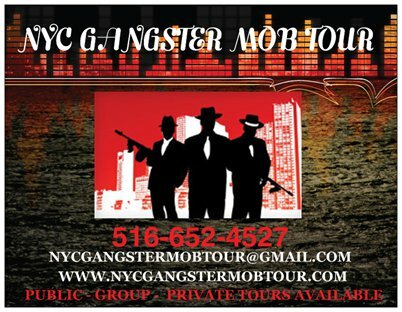 When Anastasia was murdered in 1957, Gambino took helm of the Anastasia crew — which was involved in gambling, loansharking, hijacking, narcotics trafficking, and labor racketeering — and the Gambino crime family was born. Toward the end of his life, Gambino was under constant surveillance from the FBI, and would only communicate through coded language and gestures. Legend has it that Gravano got his start in crime by stealing two cupcakes each day from a corner store in Bensonhurst on his way to school. By age 13, he had joined a neighborhood gang called the Rampers. When a few made men outside a cafe witnessed him beat up a group of bike thieves, forcing them to return the bicycle, he was nicknamed “The Bull” for his unrelenting punches. Though he started out as a Columbo soldier, Gravano eventually moved over to the Gambinos. Gravano played a key role in planning the execution of Gambino boss Paul Castellano, along with John Gotti, Angelo Ruggiero, Frank DeCicco, and Joseph Armone. After that, he was made an underboss for the Gambinos. He soon became the highest ranking member of the Cosa Nostra become an informant, helping the FBI bring down the likes of Mafia kingpin John Gotti. 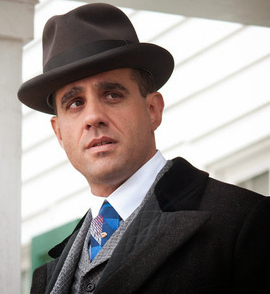 His snitching is said to have prompted many other Mafiosi to become informants. Gravano wrote a book about his life called Underboss, and is the father of Mob Wives reality star Karen Gravano, who in 2012 published a book called Mob Daughter about her experiences growing up around her dad and his group of thugs — which pissed off the families of Gravano’s victims. While most mob bosses tried to lay low and avoid media attention, the highly charismatic Joe Columbo courted it. When federal agencies started investigating the dealings of the Mafia, the New Utrecht High School drop-out brazenly accused them of scapegoating Italian Americans and founded the Italian-American Civil Rights League, which denied the Mafia existed, and branded anyone who claimed otherwise an anti-Italian racist. Columbo’s movement became hugely popular, and 150,000 people flooded Manhattan’s Columbus Circle on June 29, 1970, at the League’s first public rally. Frank Sinatra was among many celebrities who appeared in a benefit for the League held at Madison Square Garden later that year. Columbo initially tried to shut down the filming of The Godfather, but finally allowed the project to move forward as long as the filmmakers abided by his guidelines. At one of the League’s largest rallies, Columbo was shot by a man posing as as journalist. After wallowing in a vegetative state for seven years, Columbo died in 1978. Though this mobster is allegedly behind the murders of a cop and prosecutor, he may actually see freedom in his lifetime. In 1987, Cacace was ordered by imprisoned Colombo boss Carmine Persico to kill federal prosecutor William Aronwald for being “disrespectful” to the Cosa Nostra. Though prosecutors were generally off-limits to the mob, Cacace arranged for brothers Vincent and Eddie Carnini to murder Aronwald, giving the hit men a piece of paper scrawled with the man’s last name. However, the hit men accidentally took out Aronwald’s father, George Aronwald, an administrative law judge who shared his son’s office. Furious over the mistake, Cacace ordered the Carnini brothers killed, and as an extra precaution, had the hit men who killed the Carnini brothers, mowed down at the Carnini funeral. Despite the debacle, Cacace won over a loyal following and his reign over the Columbo crime family lasted nearly two decades. Cutolo dabbled in labor racketeering, gaining control District Council 37, which oversees 56 unions in New York City, and Teamsters Union local 861 — forcing the unions to hand out jobs to members of his crew. Interestingly, he lead something of a double life and was well-known for his charity work, hosting fundraisers and sitting on the boards of various Leukemia research organizations. Each year, Cutolo sponsored holiday parties and dressed up as Santa Claus for the National Children’s Leukemia Association, while his son handed out gifts to sick children. This alliance was controversial, and investigators looked into a possible connection between Cutolo’s union misdealing and his relationship with the medical charities. 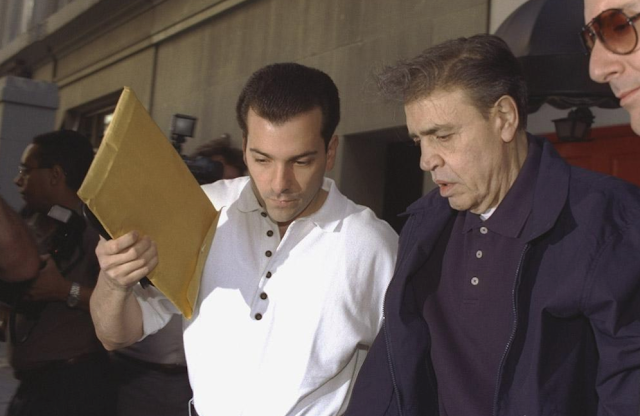 In 1999, Cutolo got swept up in a bloody Orena-Persico war for control of the Colombo family after he attempted to assassinate Victor Orena. After two years of bloodshed, Orena and Persico factions tried to make peace, but things eventually things deteriorated, ending in the disappearance of Cutolo in 1999. Nearly 10 years after the mobster vanished, Cutolo’s remains were found — minus a finger — in a shallow grave in Staten Island. He had been shot in the head.